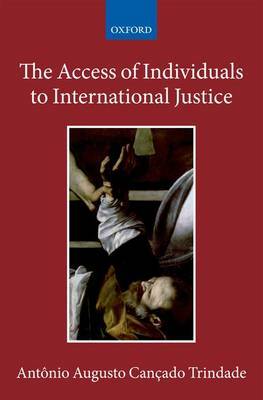 This book contends that the right of access to justice (at national and international levels) constitutes a basic cornerstone of the international protection of human rights, and conforms a true right to the Law. It amounts, lato sensu, to the right to the realization of justice. This book contends that the right of access to justice (at national and international levels) constitutes a basic cornerstone of the international protection of human rights, and conforms a true right to the Law. It amounts, lato sensu, to the right to the realization of justice. In such understanding, it comprises not only the formal access to a tribunal or judge, but also respect for the guarantees of due process of law, the right to a fair trial, and to reparations (whenever they are due), and the faithful execution of judgments. On its part, the right to an effective domestic remedy is a basic pillar of the rule of law in a democratic society. In its part, the right of international individual petition, together with the safeguard of the integrity of international jurisdiction, constitute the basic foundations of the emancipation of the individual vis-a-vis his own State. This is a domain that has undergone a remarkable development in recent years. It is submitted that the right of access to justice belongs today to the domain of jus cogens. Without it, there is no legal system at all. The protection of the human person in the most adverse circumstances has evolved amongst considerations of ordre public. Such recent evolution has been contributing to the gradual expansion of the material content of jus cogens. Furthermore, the very notion of victim (encompassing direct, indirect and potential victims) has been the subject of a considerable international case-law. Victims have had their cause vindicated in situations of utmost adversity, if not defencelessness (e.g., abandoned or street children , undocumented migrants, members of peace communities in situations of armed conflict, internally displaced persons, individuals in infra-human conditions of detention, surviving victims of massacres). Antonio A. Cancado Trindade is a Judge of the International Court of Justice, the former President of the Inter-American Court of Human Rights, and held the post of Professor of International Law at the University of Brasilia from 1978 to 2009.